The Meteoric Rise Of Mobile. Today, mobile is a must for businesses of all sizes. Here’s why. It’s been predicted that by next year the number of mobile devices being sold will be seven times that of laptops or desktop devices. 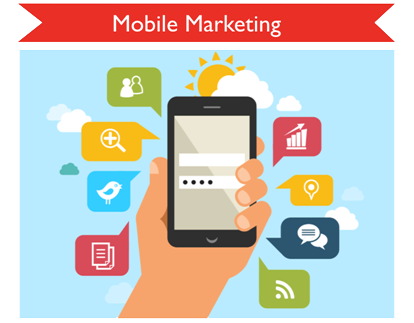 Mobile advertising is currently growing at a faster rate than any other category of advertising. 50% of local business searches on mobile result in a physical store or office visit that same day. The average person checks their mobile phone 150 times per day. More & more consumers are turning to a cross-device strategy. You should be doing the same. 88% of ‘near me’ searches are conducted on a mobile phone. ourselves as pioneers of the mobile space. No matter the size of your business, a mobile strategy is absolutely crucial. Mobile optimised websites. Acquire growing volumes of mobile traffic. App install campaigns. Targeted mobile search, display and video. Multi-channel conversion tracking. Moving away from the last click attribution model and taking into account the entire sales funnel. Mobile landing page design. With 74% of consumers searching for a product or service on a mobile device before making a purchase, our highly responsive designs and layouts for mobile are a must. App store marketing. Get noticed direct on the app and play store. New universal app campaigns. Promote your app across search, display, YouTube, Play store, mobile web and AdMob. Facebook mobile advertising. Targeted Facebook ads specifically for mobile. Over 40% of businesses still don’t have a mobile strategy in place. forward in this area of your business.